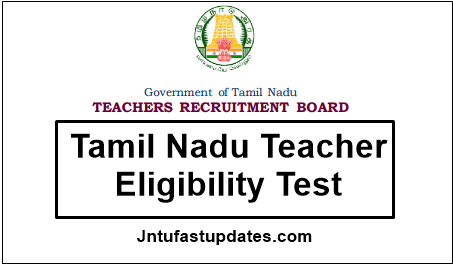 TNTET Hall Ticket 2019: Tamil Nadu Teachers Recruitment Board (TN TRB) has scheduled the Teacher Eligibility Test (TNTET) examination in the month of April/May 2019. As per the scheduled dates, TNTET Paper 1 is to be held in April and TNTET Paper II is going to be held in april. The TET examination will be held in a large number of examination centers in the state of Tamil Nadu. The competition is increased for TET examination this year when compared with the previous years. A large number of applicants wishing to become primary and secondary schools in the state of Tamil Nadu have applied for the TNTET examination. Hopefuls applied for the test can download TNTET hall ticket 2019 from the TRB website, trb.tn.nic.in. The hall ticket/admit card is the most required document to attend the test. Hence all the applicants must download and carry the hall tickets without a miss. Check the hall ticket release date, instructions for TET examinations from this article. Tamil Nadu Teachers Recruitment Board (TN TRB) is the conducting authority of Tamil Nadu Teacher Eligibility Test (TNTET). Every year the organization conducts the teacher eligibility test for interested aspirants desirous to become teachers in the state. As per the past year statistics, we can say that more than 8 lakhs of aspirants are going to take part in TNTET examination this year. The application process was completed in the month of July. The TN TRB is going to conduct the TET examination for Paper 1 and Paper 2. This examination will be held for Paper 1 (for Primary classes I-V) and Paper II (For secondary classes VI-VIII). Candidates wishing to become primary school teacher will apply Paper 1 and candidates wishing to become secondary school teacher applies for Paper II. Applicants enrolled for TNTET examination can download TNTET Hall ticket/admit card to attend the examination in the month of april/may. Visit TN TRB official website for more details. The Teachers Recruitment Board, Tamil Nadu is going to made accessible of the TNTET admit cards before 10 days of the examination (tentatively). Probably, the applicants can download TNTET Hall ticket in last week of September. Candidates applied for the Teacher Eligibility Test can get their hall tickets from the TRB official website, trb.tn.nic.in. All the applicants attempting the TNTET examination can Download and preserve the admit card safely to carry to the examination. Candidates can check the details of exam date, venue, timings and other details from the admit card. Also, the candidate’s name, date of birth, signature, scanned photograph, and guideline for the examination will also be printed on the admit card. Candidates can thoroughly check all details once after downloading the admit card. The competitors are instructed to carry the admit card while going to the examination without a miss. Also, the hopefuls need to carry any of the valid identity proof copy such as Aadhar Card, PAN Card, Passport, etc for the verification purpose. Candidates must be at the examination centers before 30 minutes of the examination. Check the following steps to download Tamil Nadu TET hall ticket 2018. Search the TNTET Hall Ticket download link in organization website. Check the information in TNTET Hall Ticket 2019. Your payment is not processed and application form is not submitted, kindly retry payment to submit your application for the exam of Paper-II. I am getting like this.